Tilta 4 4 Lightweight Matte box . 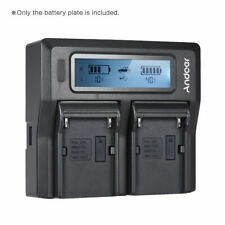 It can be used for Sony NP-F550 F750 F950 NP-FM50 FM500H QM71 & etc battery. Battery compatibility: for Sony NP-F550 F750 F950 NP-FM50 FM500H QM71 & etc battery. Battery plate type: NP-F970. 2 Battery Plate. Screw on wide angle lens. Sony HD Cam. There is an inherent NATO rail on the left side which allows you to attach an EVF mount or Monitor without little effort. Not supplied with HDMI cable lock that fixes the HDMI firmly. Worth £420.00 new on Amazon. Fantastic, solid cage. Made from machined aluminium with a lot of 1/4"-20 mounting points. Base plate (with lens adaptor support). Top Handle. Tilta ES-T17A SONYAlpha A7S A7R A7S II Rig Cage. Tilta ES-T17A SONYAlpha A7S A7R A7S II Rig Cage . Tilta add a free adapter in the set to work with SONY XLR-K1M and SONY XLR-K2M. 3, Sony A7 Series quick release baseplate. 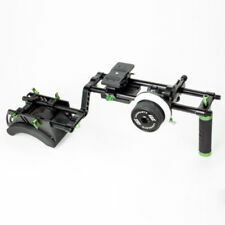 It allows to mount microphone, monitor, sound recorders, follow focus, LED light for filmmaking. A top handle is provided for convenient handheld shooting. Also, an included HDMI lock is quite ideal for HDMI port protection. With the ARRI dovetail clamp on bottom, it perfectly fits the ARRI Dovetail. The baseplate features a 15mm lws rail clamp, which allows you to use mounted accessories such as a matte box or a follow focus. SONY A6000/A6300/ILCE-6000/ILCE-6300/NEX7. You can mount the top cheese handle to the cage with two 1/4" -20 screws. A shoe mount on the top of the cage allows you to mount microphone etc. A plenty of 1/4" -20 and 3/8" -16 mounting points work for light monitor mountings. TILTA TT-0506-15 Universal Dovetail Shoulder Mount System. TILTA TT-0506-15 Universal Dovetail Shoulder Mount System . For Tilta RED WEAPON RAVEN SCARLET-W & Epic ARRI BMCC SONY F5 F55 FS700 Rigs. Tilta ES-T17C SONYAlpha A7S A7R A7S II A7R III Rig Follow Focus 4 4 Matte box. Tilta ES-T17C SONYAlpha A7S A7R A7S II A7R III A9Rig Follow Focus 4 4 Matte box . Tilta add a free adapter in the set to work with SONY XLR-K1M and SONY XLR-K2M. Tilta ES-T17A SONYAlpha A7S A7R A7S II. Tilta ES-T17A SONYAlpha A7S A7R A7S II A7 A7R III Rig Cage . Tilta add a free adapter in the set to work with SONY XLR-K1M and SONY XLR-K2M. 3, Sony A7 Series quick release baseplate. Tilta ES-T17A SONYAlpha A7S A7R A7S II A7 A7R III A9 Rig Cage . Tilta ES-T17A SONYAlpha A7S A7R A7S II. A7 A7R III A9 Rig Cage. Tilta add a free adapter in the set to work with SONY XLR-K1M and SONY XLR-K2M. TiLTA-MAX T6 STABILIZERS . • Weight including case: 15.5kg(include a travel suit case ). Spring arm. BNC video cable 2. High accuracy offset pan and tilt head（HDMI input, SDI input LEMO plug，12V 8V 14.8V outputs）. TILTA A6500 RIG : ES-T27, ES-T27A. TILTA GH5 RIG : ES-T37. TILTA BMCC RIG : ES-T07. TILTA A7 RIG : ES-T16 ，ES-T17，ES-T17A. TILTA RED RIG : ESR-T01. TILTA ARRI RIG : ESR-T06. It can work with nearly all Tilta rig set which include 15mm base plate. Tilta 4 4 Lightweight Matte box . It can work with any 15mm standard rig. Swing away function make it is easy to mount or change your lens;. Matte box can move from front to back along the arrow. Tilta ES-T27A SONYAlpha A6000 A6300 A6500 Rig. TILTA ES-T27-A SONY Alpha A6000 A6300 A6500 Rig . 2, SONY A6300 A6500 Series Cage. 3, Sony A6300 A6500 Series quick release baseplate. 15 mm light weight support baseplate with an integrated lens adapter support. HDMI to micro HDMI adapter is missing - you can replace it cheaply or use any HDMI to micro HDMI cable for your a7s. Tilta ES-T27 SONYAlpha A6000 A6300 A6500 Rig. TILTA ES-T27 SONY Alpha A6000 A6300 A6500 Rig . 2, SONY A6000 A6300 A6500 Series Cage. 3, Sony A6300 A6500 Series quick release baseplate. 15 mm light weight support baseplate with an integrated lens adapter support. 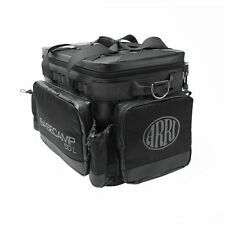 CGPro Lightweight Protection Armour Cage for Sony ALPHA 7S A7s UK NEW! CGPro A7s Lightweight Protection Armour Cage. 1 x CGPro A7s Cage. Strong and lightweight cage. Cage: 141g. HDMI Port Lock. Comfortable Top Handle. Top handle: Length: 17cm, Height: 6cm. Top handle: 154g. All of the kit components are machined from aluminum for strength and durability. Filmcity Matte Box MB-600. FILMCITY ADJUSTABLE HANDLE. It is provided with 1/4" mounting holes and a cold shoe mount for accessories. Tilta ES-T27C SONY A6000 A6300 A6500 Rig Follow Focus 4 4 Matte box. Tilta ES-T27C SONY A6000 A6300 A6500 Rig Follow Focus 4 4 Matte box . Tilta MB-T05 4 4 Lightweight Matte box. Tilta FF-T03 Follow Focus. Tilta FF-T03 Follow Focus 15mm rail rod cage rig. Very light use. Maybe used twice, so very good condition. (See photos). Compatible with 15mm Rod Based Systems. Very good system the follow focus itself. Tilta for SONY A7 Series Cage for A7R, A7RII, A7s, A7sII. Rosette mounted side handle adds extra support for a comfortable grip. Remarkably lightweight yet tough enough to withstand even the harshest shooting conditions. Compatible with 15mm Rod Based Systems. 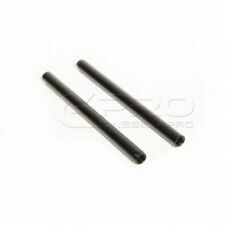 suitable for 15mm rods. Includes 5 Gear Rings, 12" Whip and Crank Handle. FOLLOW FOCUS. the follow focus itself. the distance between one focus to another. Movcam 10" Dovetail Support Plate. Perfect condition. No dings or defects. Works perfectly. Tilta TT-03-TL Rig . It also includes the TILTA III Front HandGrip compatible with both 15mm and a 19mm rod systems. The entire rig uses kip handles for extra adjustability in tight spaces. 1 x Tilta UH-T03 15mm/19mm Universal handgrip. Tilta ES-T17 SONYAlpha A7S A7R A7S II A7R II Rig Cage . 3, Sony A7 Series quick release baseplate. 2, SONY A7 Series Cage. 5, HDMI plug protector. Warranty Service. It’s highly sophisticated design strengthens the quality of producing good pictures. Threaded Screw mounts of 1/4” are present along the sides top and bottom of the cage. · Best for Panasonic Lumix GH4/ GH3 as well as Sony A7 /A7r/ A7s. The device mounts securely onto any industry standard 15mm rail system. 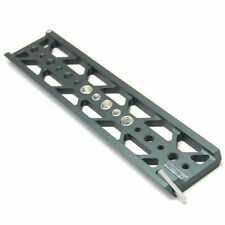 • Fit Rail Distance : 60mm. Anton mount is also available. V-Mount Battery Plate. • Compatible with Li V-Mount battery (Battery not included). SMALLRIG A6500 Cage for Sony A6500 SR-1889 is a customized cage for Sony A6500. It is made of one piece of high-grade aluminum alloy, so it is lightweight and durable. There are one cold shoe and one NATO rail on the top. Shootvilla Sony A7II A7RII A7SII Cage. The cage is constructed from high grade aluminum and features multiple 1/4"-20 threaded holes on all sides, allowing you to attach a variety of accessories as well as side handles. 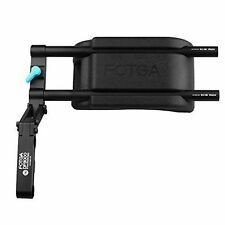 Tilta for SONY FS7 FS7K FS7M II ES-T15-A RIG follow focus Matte box. Tilta for SONY FS7 ES-T15-A RIG . (5) Tilta FF-T03 damped follow focus kit 1PC ( w/ 5pcs follow focus rings, 300mm&200mm steerwhip 1PC). CGPro SENTRY Quick Release VCT Tripod Plate for SONY/JVC/Panasonic. Essential for any studio or production shoot. Using the quick release lever, the rig can be dismounted from the VCT plate in a flash when switching to handheld shooting. Shootvilla Top handle with ¼” mounting can be adjusted on front and back of the cage. Also there is one hot shoe mount attached on the handle for different accessories to attach. SONY A7s (SV-Ca7s). TiLTA GR-V02 Gravity G2X ANGLED 3-Axis Handheld Gimbal System. TiLTA continues its tradition of state of the art build quality, with a precision CNC milled aluminium body and an ergonomic Rosewood handle. Tilta for SONY FS7 FS7M2 RIG . Tilta for SONY FS7 FS7M2 RIG. (1) SONY FS7 quick release baseplate (BS-T10) （SONY VCT-U14 plate ）. (2) Front bracket (PL mount support adaptor included). We understand the concerns and frustrations you might have, and will do our endeavor to resolve the issues. Tilta UH-T04 Universal Handgrip . We understand the concerns and frustrations you might have, and will do our endeavor to resolve the issues.